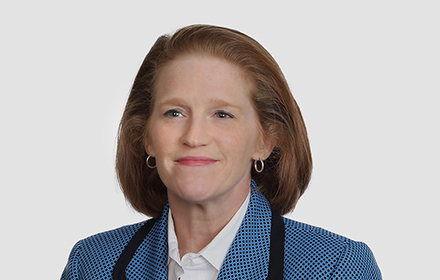 Kathryn W. Wheeler is the Knowledge Management (“KM”) Attorney for Jackson Lewis P.C.’s Employee Benefits Practice Group, and is based in the Overland Park, Kansas, office of Jackson Lewis P.C. She has more than 25 years in the employee benefits industry, 14 of those years as a benefits manager for private industry. She received her Certified Employee Benefit Specialist (CEBS) designation from the International Foundation of Employee Benefit Plans and the Wharton School of the University of Pennsylvania. Ms. Wheeler has experience with employee benefits from the perspective of clients and of legal counsel, giving her the ability to understand the issues confronting clients from both sides of the table. Her zeal for protecting the company’s interests in employee benefit-related areas led her to receive her law license to better negotiate the statutes and regulations imposed on employers. She has experience in a broad range of benefit matters, including general compliance and administration of qualified retirement plans under ERISA and the Internal Revenue Code. She also has extensive experience with welfare plan design for self-insured health plans and welfare plan issues involving cafeteria plans, health plans, flexible spending accounts, group insurance products, COBRA, and HIPAA. Ms. Wheeler has a particular focus on assisting employers with the various compliance requirements associated with qualified retirement plans and qualified welfare plans, including preparing the Form 5500 annual report for clients. She also prepares submissions for Voluntary Correction Program, Delinquent Filer Corrective Program, and Voluntary Fiduciary Correction Program. She has experience negotiating with outside benefits providers, including prototype plan sponsors, third party administrators, insurers, actuaries, and auditors. Joy M. Napier-Joyce, Joshua Rafsky and Kathryn Wheeler Author "What Employers Need to Know About the Illinois Auto-IRA Program"